Friends, I am very touched that so many of you have contacted me to see how I am coping with the fallout from the bloody coup in which Mark Harvey was ruthlessly assassinated last week. 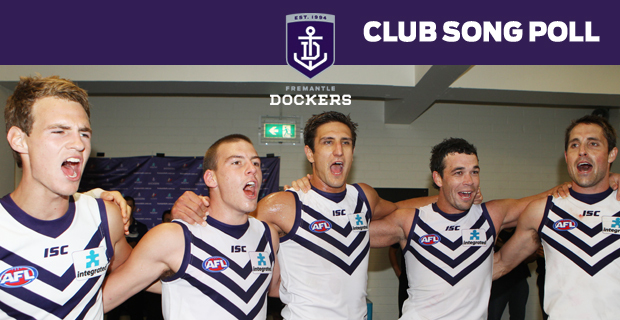 Much has been said about this event, a dark day in Fremantle’s club history. All I can say is this: it is indicative of my grief that I was too upset to leave my bedroom and watch the Footy Show. I just really really like Mark Harvey. I thought he did a good job this year despite the club being wracked with injuries. He gave heaps of kids a run on the paddock and built a solid list for future success. I think it was pretty short-sighted, not to mention entirely devoid of integrity, for the Board to sack Harvey under such circumstances. Furthermore, if people cared about premierships above all else they probably wouldn’t support the Dockers. There. I said it. OK GEELONG. This week, we talk GFC with J&K from Miss Soft Crab! Readers, Miss Soft Crab is hysterical. It is at once hilarious and profound. And it just so happens than MSC contributor J is bang-up for the Catters. Ergo, she is providing special comments atop K’s special comments. Straight off the bat I should disclose to all and/or sundry that I am a purple person: a proud, loyal, passionate supporter of the Fremantle Football Club. I haven’t always been this way (see my teen Kouta lust, for shame) but these days I toe the Chops family line.